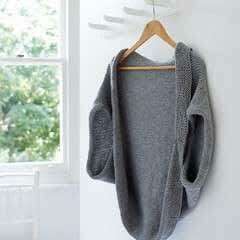 Everything you need to know to create 35 fantastic knitted projects using a crochet hook. 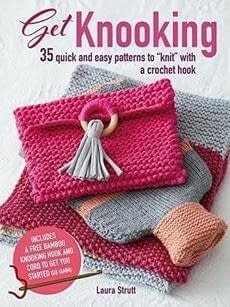 Get Knooking also includes a free bamboo knooking hook (size G/6) and a cord so you can start right away.A great introduction to the new trend in yarn craft, Get Knooking is perfect for beginners, as well as crocheters who want to expand their skills. You’ll have fun with this innovative method for knitting using a specially adapted crochet hook, and will soon be on your way to making Laura Strutt’s amazing designs for items to wear, gifts, and home decorations. Start small with a zipped purse, a headband, and armwarmers, then move on to a block-color pillow, a nautical rope-handle bag, and knitted storage boxes. For something a bit more challenging, try making an on-trend kimono cardigan, a rainbow throw, or a dip-dye effect shawl. There is a comprehensive techniques section with detailed step-by-step illustrations so you have everything you need to begin.